Mirova's renewable energy infrastructure fund Eurofideme 2* has celebrated at the end of May the official opening of the €336 million Jädraås wind farm at an event at the site, alongside its co-investors in the project Private equity infrastructure specialist Platina Partners LLP and leading Swedish onshore wind developer Arise Windpower AB. At 200MW, the development will be the Nordics largest onshore wind project and one of the biggest in Europe. The Project was awarded project finance "Deal of the Year" in its category in March 2012 by Euromoney and Project Finance Magazine. “Sweden offers a very attractive environment for wind power due to high wind resources, solid electricity grid and strong policy commitments to renewable energy. 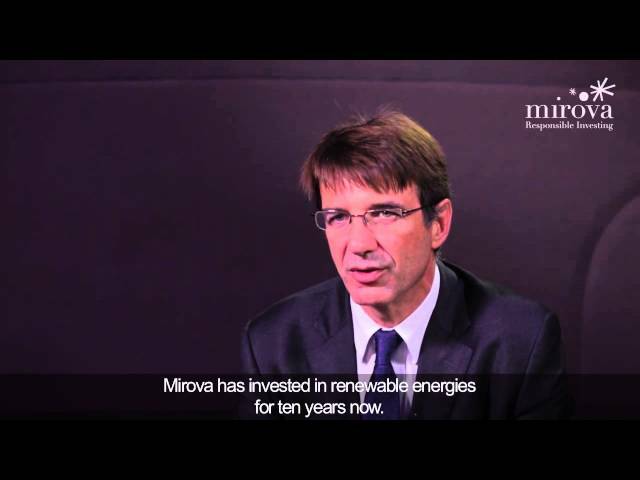 We couldn't be more thrilled to be co-investing in this high-profile project with quality partners and to continue contributing to Europe’s growth in clean energy resources”, commented Raphaël Lance, Head of Renewable energy of Mirova Environment and Infrastructure**. The wind farm utilises the Vestas V112 turbine which stands at a height of 175 metres, currently the tallest commercial onshore wind turbine. The 66 turbine project was constructed on time and on budget in a period of less than 18 months, and should generate 570 GWh, sufficient electricity to power 150,000 homes. The Jädraås windfarm is located 220km to the north of Stockholm, close to the town of Gävle. * Eurofideme2 is managed by the Infrastructure team of Mirova, responsible investment division of Natixis Asset Management. ** The Infrastructure financing activity is managed by Mirova Environment and Infrastructure, a subsidiary of Natixis Asset Management.